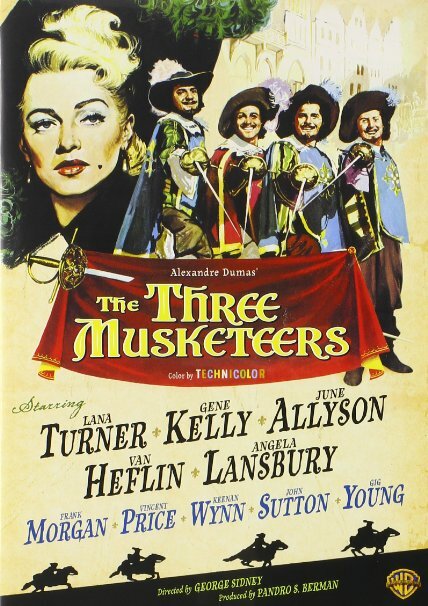 I had seen almost every film version of The Three Musketeers. I have seen much of the oevre of Vincent Price. 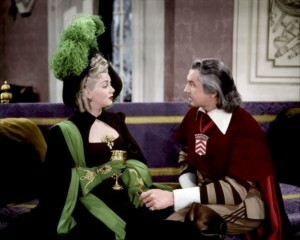 But until recently I had not seen The Three Musketeers (1948), in which he plays Cardinal Richelieu. In that regard, I was not disappointed. Every time Price was on screen was brilliant. He was born to play that role. … sadly, not for more than maybe ten minutes of the whole film. (Learning that Price was probably bi has colored my interpretations of his roles. I feel vaguely bad for wanting his seducing D’artagnan over to his side to be an actual seduction — but only a little). I lurve these villains so much. – Gene Kelly (as D’Artagnan) really wanted to dance in this movie, and it seems like NO ONE HAD THE POWER TO STOP HIM. The sword fights — of course there are a lot — feel like dance routines where people are just kind of waving around weapons. – WTF is Lana Turner (as Milady de Winter) wearing? 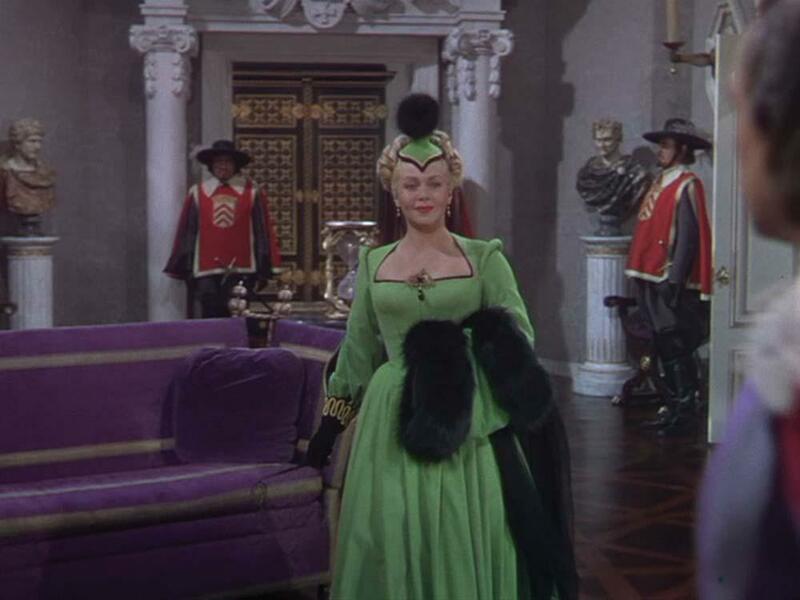 There’s perfectly serviceable 17th-century garb all around her, and she’s wearing some strangely architectural 1940s evening gowns. And some truly ridiculous hats. – This is a version with a Duke of Buckingham! The script writer even went to the trouble to learn the given name of the historical first Duke of Buckingham (George Villiers). But then no one bothered to pronounce it right. – Surprising no one, I get all teary-eyed at Milady’s execution at the end of the story. She’s a terrible person! I know that! But still. It’s no wonder I decided to write an entire novel as her vindication.